Bodilight News & Special Offers Aching Muscles? Sports massage is not only for the benefit of professional athletes. It can also help for those of us who simply exercise regularly and feel a few aches and pains. The aim is to use fast, vigorous strokes to warm up your muscles prior to an activity or to ease your muscles for a faster recovery afterwards. What are the advantages of a sports massage? If it is a relaxing, gentle massage you are after then this is definitely not for you. This type of massage involves the focussed and deeper manipulation of soft tissue, skin, tendons, muscles, and ligaments. Sports massage is designed to correct the problems that have arisen through strenuous or repetitive physical activity, or even a trauma. Sports massage can be used to detect any weaker muscle areas or softer tissue spots and help to strengthen these…Prevention is better than cure. It can also be used as part of rehabilitation, alongside advice from your medical professional, for any back related strains or injuries. Bodilight’s therapists are trained in understanding the different muscle groups as well as the skeletal framework of the body. Each massage will be tailored to your needs or specific injury, ensuring a session that will benefit you. The strokes used during a sports massage are often directed towards the heart, a technique that increases the blood flow. The therapist may also use shorter strokes, in the opposite direction as this is designed to stretch the fibres in your muscles. Different techniques will be used for different outcomes throughout your session. 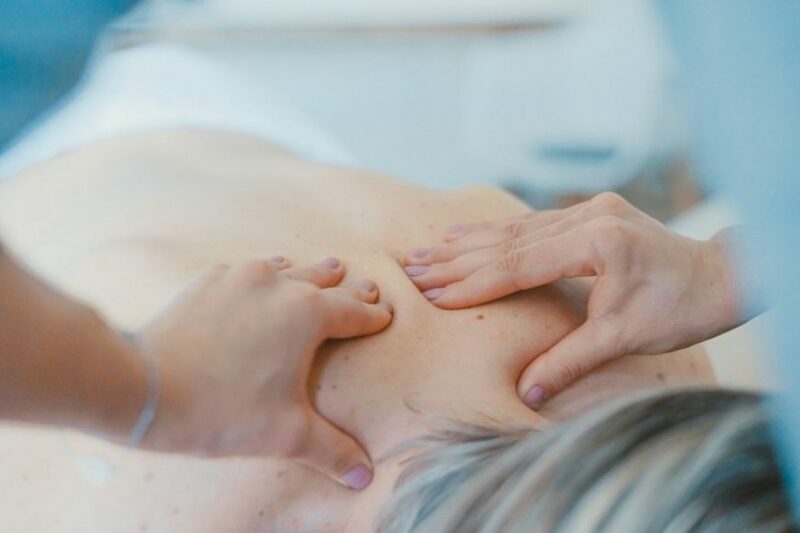 The treatment will begin with a form of massage involving varying, pressured, stroking movements, where the hands will glide over the skin in order for you to become accustomed to the therapist’s touch. This is known as effleurage. It is designed to allow the therapist to pinpoint any tender spots so that less pressure can be applied to these areas later on. These strokes will warm and stretch the superficial tissues and relax the muscles as well as increasing the blood flow. They will then move on to working the deeper tissues and stretching the muscle fibres. This is done with movements, known as petrissage, designed to compress and release the soft tissue. It is commonly used for a greater effect than the effleurage and increase the lymphatic return, which helps in the removal of waste products. The third part of your sports massage is the most forceful, where the therapist applies the most pressure. Frictions are small movements that are applied using the fingers and thumbs to isolated areas. The aims of this is to separate the bonds between the fibres and this can help to break down any scar tissue. It restores elasticity to your muscles and stimulates the healing process. If this starts to feel uncomfortable it is important to let the therapist know in order for a gentler pressure to be applied. The massage is finished with the effleurage movements in order to relax you. However, you still may feel achy after this treatment. This is completely normal and the tightness should dissipate within 48 hours leaving you feeling in pristine condition. Drink plenty of water and try soaking in an Epsom salt bath to combat any soreness. If you are seeking a sports massage for rehabilitation after an injury, it is a good idea to schedule your appointments at regular intervals. This will ensure that specific injuries are treated and progress towards your healing is as swift as possible.